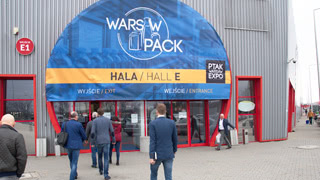 The interpack alliance of Messe Düsseldorf expands into the Middle East Africa (MEA) region - its "pacprocess MEA" will be held annually at the Egypt International Exhibition Center in Cairo starting in December 2019. The trade fair can count on broad-based support from numerous partners from business and Egyptian government organisations and/or associations. The debut event is scheduled for 9 to 11 December 2019 and will run concurrently with FoodAfrica, the leading food trade fair in the region. pacprocess MEA will be held in cooperation with the organisers IFP Egypt and Konzept that also organise FoodAfrica. The fair addresses the eight core target groups of the interpack alliance: food, beverages, pharmaceuticals, cosmetics, confectionery and bakery, non-food and industrial goods - and all of these across the entire value chain. It also targets the suppliers of packaging means, packaging materials and the associated manufacturing technology. Recycling and environmental technology also play a role here. "For pacprocess MEA there will be an advisory board composed of high-calibre representatives of international companies from the food, pharmaceuticals and confectionery/pastry industries as well as from numerous Egyptian state organisations and associations - which is a first for a trade fair held outside our homebase in Düsseldorf. 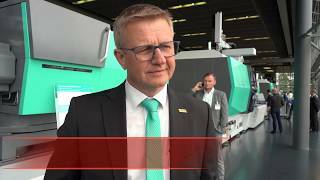 This is how we bring together decision-makers and their know-how for a strong trade fair," says Bernd Jablonowski, Global Portfolio Director Processing & Packaging at Messe Düsseldorf. The close connection with Egyptian government organisations is also underscored by the meeting between Werner M. Dornscheidt, President & CEO of Messe Düsseldorf, and the First Undersecretary of the Ministry of Trade and Industry, Sami Ahmed Younis, as part of the launch event of pacprocess MEA in Cairo on 10 December. The MEA region and the Egyptian market, in particular, are rated as dynamic and highly attractive not least by international groups. This still young democracy provides a gateway to the African world because it maintains extensive free-trade agreements with other states in the region and is a focus of German development policy. It is open to foreign investors, which is why large corporations such as Coca-Cola, Nestlé, and Mondelez have invested hundreds of millions over the past few years. Even the Egyptian domestic market is attractive: spending on food and beverage in Egypt is expected to rise by 60% in the period 2013 to 2020. In the pharmaceuticals segment Egypt ranks among the biggest producers and most important sales markets in the MEA region. Here growth is estimated to reach 8% by 2020. The packaging sector is predicted to expand by as much as 35% between 2015 and 2019. The driver of this development is a young, growing and spend-happy population with rising education levels and growing disposable incomes. 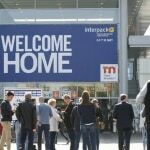 As an interpack alliance member pacprocess MEA will also introduce its visitors to innovationparc and Save Food, special themes that have been established features at the flagship fair in Düsseldorf. With its conference programme and serving as a platform for knowledge transfer and exchange, innovationparc picks up on industry trends of relevance to this region. The Save Food Initiative is a joint project of the Food and Agriculture Organisation of the United Nations (FAO), the United Nations Environmental Programme (UN Environment), and Messe Düsseldorf and aims to reduce international food losses and waste. The plan is to establish the initiative in Egypt via pacprocess MEA. The African continent, in particular, is suffering from a high percentage of food losses - often caused by a lack of processing technologies and suitable packaging for perishable harvested products.